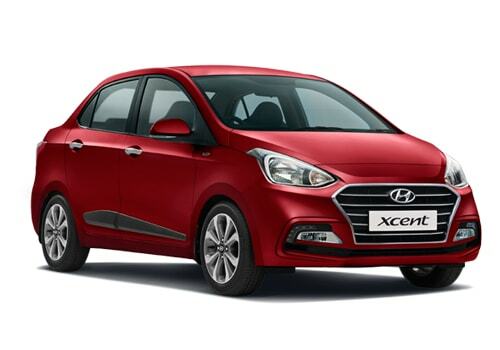 Developed after receiving the over whelming response from customers by the launch Grand i10 hatchback in Indian car market last year, Korean car maker has introduced the sedan version of hatchback named as Xcent in Indian car market with starting price of Rs. 4.66 lakh (ex-showroom price in New Delhi). Promoted as modern family sedan the Xcent has been launched in both petrol and diesel guises. The petrol variant is powered with 1.2 litre Kappa Dual VTVT petrol engine which will deliver superior performance with enhanced fuel efficiency figures. On the other side the diesel variant is equipped with 1.1 litre 2nd generation U2 CRDi diesel engine. Both engines are coated with five speed manual gearbox followed by availability of 4 speed automatic transmission system in petrol version. The comfort and safety features offered in Xcent includes Fully Automatic AC, Antilock braking system (ABS), Cluster ionizer, Rear arm-rest with cup holders, Glove box cooling, Steering mounted audio controls and Bluetooth, Dual Air-bags, Rear parking assist and Rear defogger. It would be interested to exteriors and interiors of Xcent are best in the segment and miles ahead from existing sedan in market. The major attractive features that could be witnessed on the exteriors include Swept back headlamps and wrap-around tail lamps with chrome insert, Chrome finish hexagonal air dam, Steeply raked windshield, Wide daylight opening area, Front bumper with integrated spoiler design, Sporty dual tone rear bumper with stylish reflectors, Diamond cut alloy wheels and classy chrome door handles, Stylish and aerodynamic kick-up trunk lid design with chrome garnish, LED high mount stop lamp. On the other side interior decoration includes features like Bright dual tone beige and black interiors with high quality plastic, Premium designed dashboard integrated with hexagonal outlined audio, Ergonomically positioned controls, Generous legroom and headroom in front and rear, Best-in-class boot space, Multiple storage options in door trims and centre console, Seating comfort- Well contoured seats with excellent cushioning and rear arm rest, Premium leather wrap steering wheel, and Leather wrap gear shift knob with chrome insert.